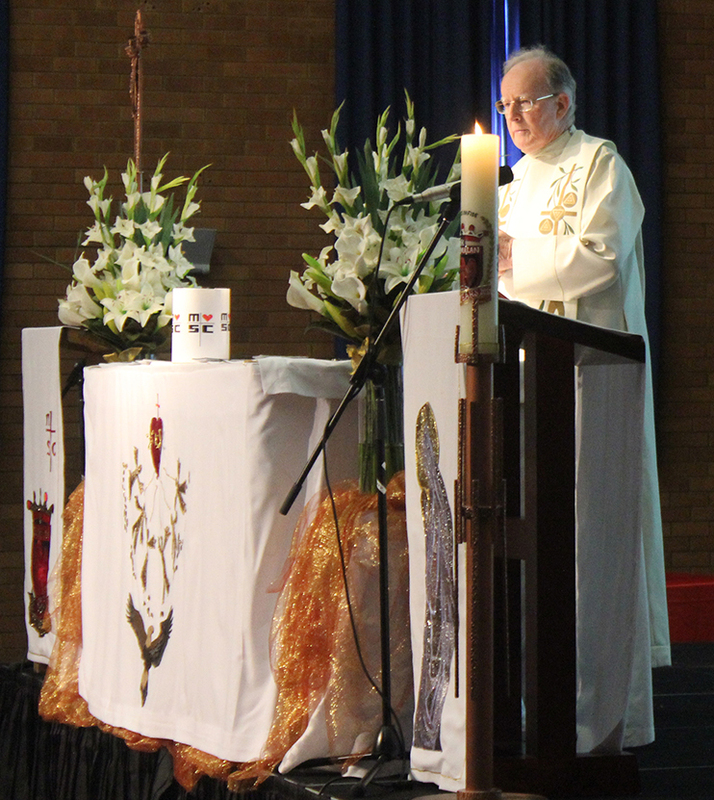 Fr Jim Littleton MSC, celebrating Mass at the College. Fr Jim was Headmaster of the College in the 70s and is an integral part of the MSC community at Daramalan. The foundation for a Spirituality of the Heart can be found in our own personal experience of God’s love. In the First Letter of St John (4/15) we find a basis for this ”We ourselves have known and put our faith in God’s love towards ourselves”. That contemplative act of knowing God’s love is the heart of this Spirituality. Jules Chevalier saw the Sacred Heart as the gateway to understanding Jesus and the gospels. He became very much aware of the concern that Jesus felt in his heart for the ordinary person; it was a compassion for all who were suffering, be it physically or spiritually. He never preached a religion based on fear or legalism. This Spirituality recognises God’s love for all people and hence is relational. It affects the way we relate to people and the MSC endeavour to bring something of the kindness and compassion of Jesus into our relations with all people. At Daramalan we value every individual as one who is loved by Christ. Consequently a Spirituality of the Heart is also missionary by nature. Jules Chevalier had a very strong sense of mission and just as Jesus was sent into the world to bring to people an awareness of God’s love, so we share in that mission. The MSC endeavour to help other people believe in this love and so change the world by building a community of love. The motto of the Sacred Heart highlights this missionary spirituality: “May the Sacred Heart of Jesus be everywhere loved” and at Daramalan we have adopted this ethos with passion and fervour. 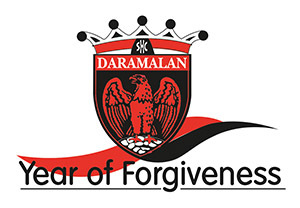 Daramalan College promotes a spirit of family formed by kindness and understanding, by compassion and mutual forgiveness, by gentleness, humility and simplicity, by hospitality and a sense of humour, with justice and concern for all. Every year, the College adopts a theme for that particular year. 2019 is the Year of Forgiveness. Click here to download the MSC publication “Mission Outreach” which details the important work of the MSC Missionaries throughout the poor and developing nations of the world. Your assistance in helping to fund projects such as supplying fresh water to poverty stricken villages would be very much appreciated. How you can help is detailed in the booklet.